Owners of PlayStation All-Stars Battle Royale should look to the PSN Store right now. Two new characters are available for download. And that’s not even the best part… for the first two weeks, they’re available for FREE! 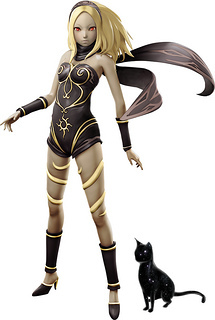 The first new character is Kat and Dusty from the PS Vita’s Gravity Rush. Kat will specialize in close combat melee, using her ability to manipulate gravity to give her attacks extra power, give her a speed boost or stagger her enemies. She can also float up debris and objects lying around and hurtle them at her foes. Sounds fun, right? If you needed any more reason to be excited about Kat joining the All-Stars, go ahead and watch her in action. The second new character joining in the brawl is Starhawk’s own Emmett Graves. Emmett has a myriad of weapons at his disposal, and the one you’re using will also change his super. Not only that, but this guy gets automated turrets to continue wreaking havoc for him while he eliminates his targets. As if two new FREE (for two weeks) characters wasn’t enough, there’s also a new level being released. Fearless is described as “a mash-up between Heavenly Sword and Wipeout” and will be available for purchase in February. It seems the level will not be free like the characters, but even if you don’t purchase it you will still be able to play it during ranked online matches. So, waste no time, these characters are available to download now! I’m sure they’ll be a smash! There’s more All-Stars DLC to come in March, too. You can bet we’re looking forward to it.